Despite expressing apathy towards the whole thing, Radiohead will be inducted into the Rock and Roll Hall of Fame this year. Unsurprisingly, frontman Thom Yorke has just confirmed that he won't be attending the ceremony. 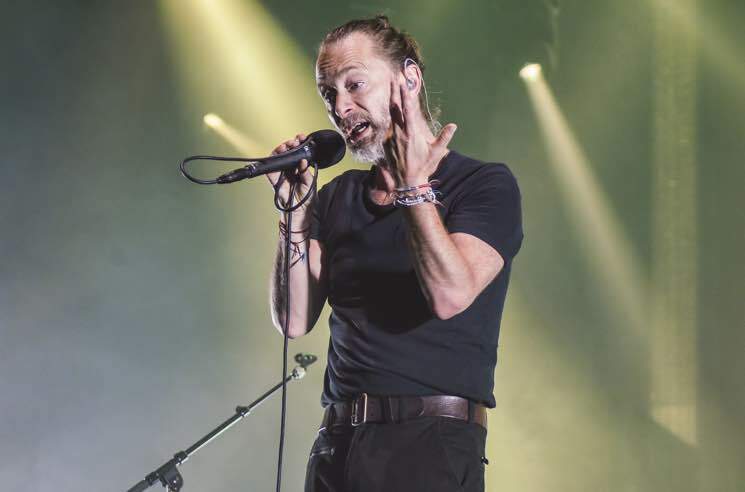 In an interview with Variety, Yorke reiterated that the band have "always been very blasé about that stuff," but did also note that they didn't mean to "offend anyone." "We just think that we just don't quite understand it. We've had it explained to us, so it's cool," Yorke said. "But we don't really understand it as English people. I think our problem is essentially that every awards ceremony in the U.K. stinks. We grew up with the Brits, which is like this sort of drunken car crash that you don't want to get involved with. So, yeah, we don't really know what to make of it." Regardless of Radiohead's feelings towards awards, Yorke won't be able to attend the ceremony anyway because of a prior commitment. "I can't," he said, when asked if he would attend the induction ceremony. "I know I can't, because of these piano pieces that I've written. There's the Paris Philharmonic, so I have to be there for that." Yorke will perform pieces he wrote for French piano duo Katia and Marielle Labèque, with the work set to premiere on April 7. The Rock and Roll Hall of Fame induction ceremony takes place on March 29 at Brooklyn's Barclays Center.